Jonathan Borwein led AMSI’s Scientific Advisory Committee with distinction from 2010 until his untimely death in 2016. He also served on AMSI’s Research and Higher Education Committee and as a key observer on the Board. He was a tireless ambassador for the Institute. It is in recognition of this considerable and influential service that the AMSI Board makes the posthumous award of a Distinguished Service Medal. Jon Borwein was a mathematician of astonishing range and versatility and a leader in every way. 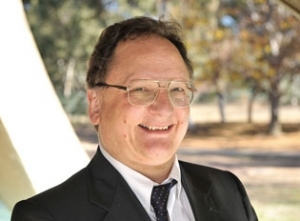 A highly respected advocate for the Australian mathematical sciences, his past roles included President of the Canadian Mathematical Society and Editor in Chief of the Journal of the Australian Mathematical Society. He was an ISI highly cited scientist and his work in mathematics and computing, including optimisation, computational number theory and classical functional analysis continues to be of great impact. Jon moved to Australia in 2008 as Laureate Professor in the University of Newcastle’s School of Mathematical and Physical Sciences and Director of CARMA, the Priority Research Centre in Computer Assisted Research Mathematics and its Applications. Jon’s deep international leadership experience, coupled with his great generosity of spirit, was of extraordinary value to the mathematical sciences in Australia and to AMSI in particular. Even prior to his arrival here Jon contributed to the establishment of the AMSI Access Grid Room network. He continued to be a champion of this initiative once he arrived in Australia and CARMA at Newcastle provided us with deep technical advice as well as academic engagement. During his leadership of the Scientific Advisory Committee he encouraged wider access, especially by younger research leaders, to AMSI’s workshop program and oversaw the successful program collaboration with the Australian Mathematical Society. His energetic and always thoughtful engagement with the Board, the AMSI Members and the committees was outstanding. Jon was an intense driver of collaboration and was himself an inveterate speaker and collaborator, always encouraging his hosts to make use of AMSI’s support. He had a natural affinity with AMSI’s collaborative model and his strategic view of the world made his contribution singular and his loss acute. This medal is therefore awarded with the deepest respect.